Rocky Mountain High Brands, Inc. (OTC PINK:RMHB) announced today that 31 million shares of stock and warrants have been returned to the corporate treasury in an agreement with former CEO Tom Shuman and former employee Jason Robillard which allows them to manufacture CBD in their own company. Rocky Mountain High Brands will produce CBD infused beverages and other related products in a joint venture with an established CBD producer. The Company is currently in active negotiations with several parties to produce Rocky Mountain High Brands CBD infused products this year. Rocky Mountain High Brands has secured multiple vendor booths for the 25th Annual Seattle Hempfest this year to be held August 19-21, 2016. Seattle Hempfest is an annual event in Washington State and is considered to be the world’s largest annual gathering advocating decriminalization of marijuana. 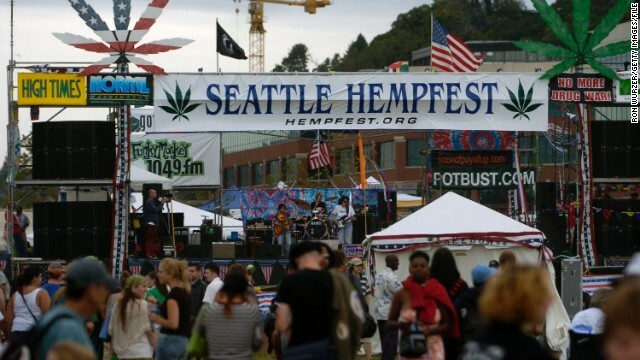 Founded in 1991 as the Washington Hemp Expo and attended by only 500 people, the event was renamed the following year as Hempfest. It has grown into a three day annual rally, concert, and arts and crafts fair with attendance over 100,000. We currently offer five wickedly delicious hemp-based beverages that are 100% legal and refreshing! Try one today! Interested investors, our stock symbol is RMHB.